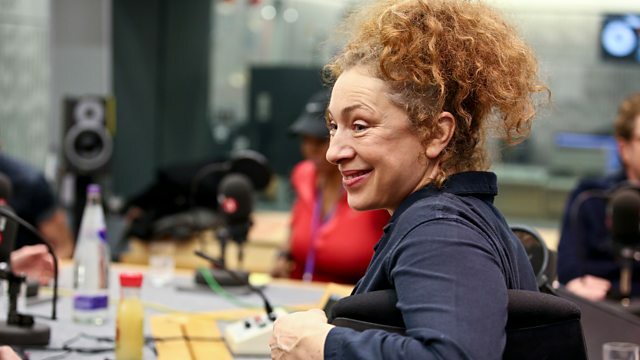 Clive Anderson and Arthur Smith are joined by Michael Ball, Alex Kingston, Jocelyn Jee Esien and Francis Rossi for an eclectic mix of conversation, music and comedy. With music from Rizwan-Muazzam Qawwali and Laville. 'Admissions' runs at Trafalgar Studios, London until 25th May. 'The Widow' starts on ITV later this year. ‘I Talk Too Much’ is published by Little, Brown on 14th March. 'We Talk Too Much' is out on 15th March. Francis is touring until 20th May. 'Turn Up Charlie' is available on Netflix now. 'Coming Home to You' is released on 22nd March on Decca Records. 'A Better Destiny' is available now on Real World. Rizwan-Muazzam Qawwali are currently touring. They're performing at Sage, Gateshead on on 19th, Leeds Town Hall on 21st, Royal Northern College of Music, Manchester on 24th and London's Barbican on 30th March. 'Thirty One EP' is available on 15th March. Laville is touring in May. Dates include the Rebellion in Manchester, 100 Club, London and Patterns, Brighton. Check his website for details.